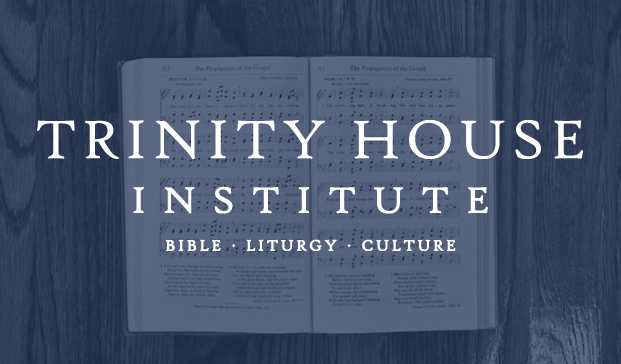 Click the link at the bottom of this post if you're interested in viewing a theological essay I wrote for a 2014 course on Holistic Mission at the Trinity House Institute for Biblical, Liturgical & Cultural Studies. I cannot adequately express how grateful I am for Rev. Wesley Baker of Peru Mission and the training we all received from him in this course. His philosophy of mission is incredibly thorough, practical, and theologically engaging. I'm also not the only student who walked away thinking his teaching was priceless, even though the Trinity House Institute offered it for an extremely reasonable price. (For more about that, check out the institute in the link above.) For my essay, click the link below. Peter Leithart, president of the Trinity House Institute for Biblical, Liturgical, and Cultural Studies, has recently posted an article on the Trinity House blog about the parables of Matthew chapter 13. My hope is that his insights will help us probe even deeper into appreciating the parables of Matthew's gospel in their original historical context, as well as help supplement (and justify) much of my own exegesis of Matthew's gospel. My blog posts on the parables of Matthew 13 can be viewed here. The link to Leithart's post on the parables of Matthew thirteen can be found here. As noted in a previous post, after returning from my first intensive course at the Trinity House Institute for Biblical, Liturgical, & Cultural Studies, I have decided to start writing a series of posts on John's gospel, starting with some of my own thoughts about chapters 18 & 19. I'm starting with those two chapters primarily because of a group discussion our class had on those two chapters, and I want to share my own thoughts while our group discussion is fresh in mind. Below are some of my own thoughts. A) vv. 1-3 -- "band of soldiers" and "officers of the Jews"
A') vv. 10-12 -- "band of soldiers" and "officers of the Jews"
In this section we find many literary connections between Judas's actions and Peter's. Judas is mentioned twice as "the one who betrayed him" (vv. 2, 5) just as Peter is mentioned twice as the one having a "sword" (vv. 10, 11). We also find Judas bringing in backup to arrest Jesus, and they bring lanterns, torches, and weapons with them--a triple emphasis (v. 3). Peter attempts to stop Jesus' arrest with his sword, and there we find another triple emphasis: he draws his sword, strikes with it, and cuts off the right ear of the High Priest's servant, Malchus (v. 10). In the middle of all this, we find another triple action, only it's from the words of Jesus (vv. 5-8). Three times the divine words ego eimi ("I AM") are highlighted, and the central reference comes from John, the author, who says the soldiers fell down to the ground by the Word of God. Interestingly, just as Judas was mentioned twice at the beginning as the one who betrayed Jesus, in the following pericope (18:13-27) it is Peter whose words of betrayal are explicitly stated twice, saying ouk eimi ("I am not", vv. 17 & 25). All these judicial witnesses of two's and three's in a garden can hardly be accidental on John's part. In this scene, Judas is portrayed as a subtle serpent entering the garden to tempt and trap Jesus, the second Adam. But Jesus knows the will of His heavenly Father (v. 4), and so he doesn't give into the serpent's temptation. Jesus also knows He has complete control over the situation. He manifests His great power with the breath of his mouth, knocking down his enemies. It is only after this manifestation of divine power that find Jesus doing something shocking. He knows His enemies have arrived with lanterns, torches, and weapons to seize Him, but He doesn't defend himself. Instead He defends His disciples by giving up his own life for them: "If you seek me, let these men of mine go." (v.8 ESV). By doing this, Jesus manifests himself as the greater Adam. Jesus does what the first Adam should have done in the Garden. Jesus protects his Bride by laying down his life for Her. However, the narrative doesn't end there. According to the way John records this series of events, it seems like Peter had not been paying much attention to what Jesus was saying, or to the fact that some soldiers fell down by His word. Peter, instead, seems to remain focused upon the soldiers with lanterns, torches, and weapons. His response to all of the commotion is to war with the serpent in the garden, seizing authority not given to him by God, by drawing, striking, and cutting off the ear (apparently aiming for the head) of the high priest's servant. By going to war with the serpent, Peter is also portrayed as ignorant of what Jesus' divine mission is. If anyone in this narrative understands the divine mission, it's the soldiers who just fell down on the ground from the mere breath of the Lord. But John doesn't tell us anything more about those who fell down. It is clear enough that those who fell down had perceived Jesus to be the one in complete control. All John continues to tell his readers is that Peter attacks the high priest's servant, Malchus, as though the divine affirmation of Jesus' authority wasn't good enough. Peter also seems to expect the other disciples to join in with him in the attack. This is like Judas, who brought a band of soldiers with him because he expected resistance from Jesus and his disciples. And so, when Peter attacks Malchus, the high priest's servant, Peter is not thinking Christ's thoughts after Him. He is thinking Judas's thoughts after him. By striking Malchus, Peter is betraying his own High Priest, Jesus. By striking Malchus, Peter is striking Yahweh's servant. Interestingly, the name Malchus means "the kingly one," which again highlights the fact that by disregarding Jesus' voluntary surrender, Malchus is obeying the word of the Lord and Peter is symbolically striking the Kingly One. Malchus' actions are in line with the Father's will, whereas Peter's actions are not. In this regard, Jesus' response to Peter's actions are very telling: "Put your sword into its sheath, shall I not drink the cup that the Father has given me? "1 (v. 11). By highlighting Judas' betrayal at the beginning of this garden scene, there is no surprise that Jesus would be arrested and taken away. The real surprise of John's narrative is Peter betraying Jesus. Judas enters this garden with a band of soldiers because he knows Jesus often met there with his disciples, walking and talking with them in the cool of the day. But it is Peter who falls into temptation in the garden. It is Peter who thinks his eyes are open, discerning good from evil. It is Peter who is deceived by the craftiness of the serpent. 1. Another translation of Jesus' words (however unlikely) could be: "Throw the knife into the grave! The cup that the Father has determined to give me, shall I not drink it?"